Losing a hat is no fun in the sunburnt country. It can be even worse for a restaurant on awards night. But the judges have spoken and a little more sunscreen will be needed today on the eat streets of Queensland, while Adelaide is covered up and sitting pretty with a new culinary star. The regions are hotter (in a good way) than the butter in a chicken kiev and that Sydney v Melbourne rivalry just grows and grows. Welcome to the annual audit of Australian dining, aka the Good Food Guide Awards, its launch last night seeing it notch up a second year as a national guide. It's a tough industry, and as editor Myffy Rigby notes, it has been the toughest year in hospitality since the GFC. But when the going gets tough, the tough get going. A few clever high-profile chefs have read the market, delivering affordable offerings and reaping the rewards. Clayton Wells' A1 Canteen in Sydney, a one-hat debutant, is the pin-up for the trend. The Good Food Guide has always been about the snakes and ladders of hats, and there has rarely been a slide like Brisbane's Urbane restaurant, which was sitting on top of the dining heap 12 months ago with three, missing out entirely this year after changing chefs. Indeed, it reflected a tough year for Queensland – in the GFG judges' eyes at least. The number of hatted restaurants in the state slipped from 31 last year to 22. Meanwhile Tassie held its ground and Western Australia nearly doubled its hatted restaurants, jumping from 12 to 19. South Australia also saw a small net gain in hats (13 to 15), while chef Jock Zonfrillo's newly crowned three-hat Adelaide eatery, Restaurant Orana, took out the heavyweight division, crowned Restaurant of the Year. Punching above your weight against the big cities was a common theme this year. Laura, the new restaurant in a sculpture park and winery in regional Victoria, snapped up New Restaurant of the Year. Mildura-based Stefano de Pieri picked up the Vittoria Coffee Legend Award, and the Argyle Inn, in the tiny NSW town of Taralga is now in possession of a shiny new chef's hat. Who said the regions aren't rocking? The Sydney v Melbourne rivalry is a title fight always worth the price of Good Food Guide admission. This year did not disappoint, and the judges' votes were tight, with Melbourne (51) just edging out its northern competitor (50) in the one-hat category. But Sydney bounced back in the two-hat division with 25 hats to Melbourne's 14, and also took three-hat honours, which Sydney won three to two. 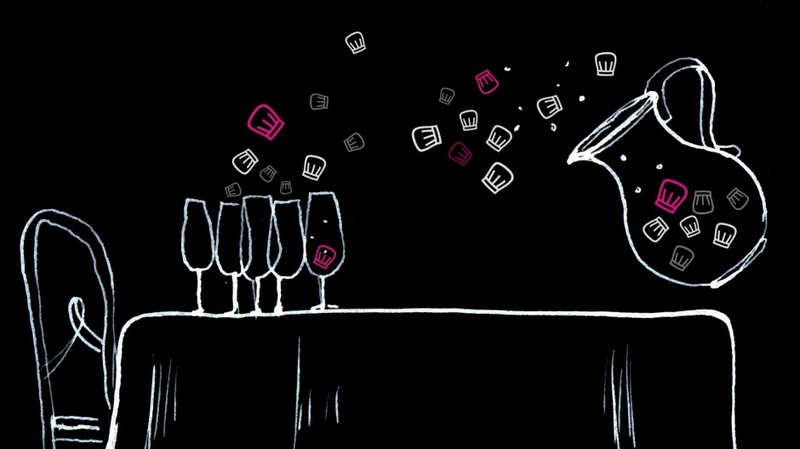 With 60 reviewers visiting more than 700 restaurants over an eight-month period, ploughing through an edible mountain of tartare and burrata, they have created a comprehensive beast of a guide as thorough as it is appetite-inducing. Not that it's all hard work. 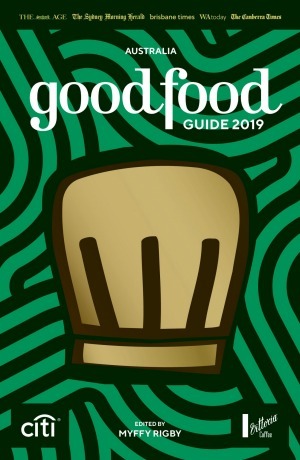 As Rigby says, the Good Food Guide is "a reflection of the thousands of voices that make Australia one of the most diverse and delicious places to eat in the world".